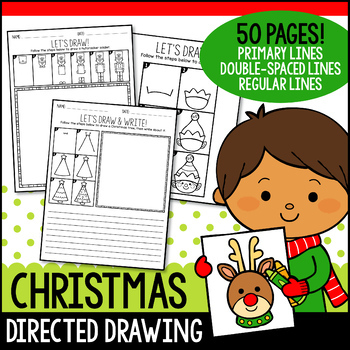 A collection of directed drawing activities for Christmas! 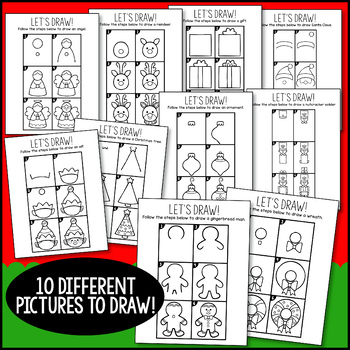 This product includes 10 different pictures to draw, each with 5 different work sheet options! A total of 50 pages! 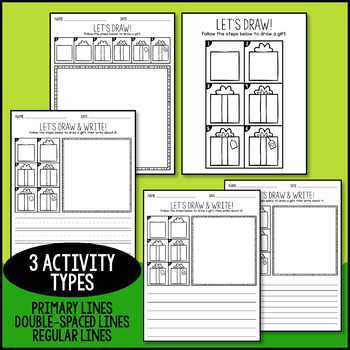 ⯈ Five Worksheet Options: Instructions-only, drawing pages, draw & write primary lines, draw & write double lines and draw & write regular lines. ⯈ Step by step instructions for drawing the following: Christmas tree, reindeer, elf, ornament, nutcracker, angel, wreath, gift, Santa Claus and gingerbread boy.